"NRG has decided to be a leader in residential solar, " said Denise Wilson, Executive VP at NRG. Wilson is also President of New Businesses and leads NRG Residential Solar Solutions, NRG eVgo and Energy Technology Ventures. NRG Energy, as financier, already has a fleet of several thousand residential systems installed, but it did hit a sales plateau in 2013, according to sources close to the firm. Wilson said, "We met RDS and liked what we saw. They're very customer-focused and all about making it simple." She added, "They are very aligned with us to take it to a national platform." The 475-employee Roof Diagnostics was one of the top ten installers in 2013 with offices in New Jersey, New York, Massachusetts and Connecticut, and with expansion plans for California. SolarCity is the market leader with more than 25 percent market share, followed by Vivint Solar. Roof Diagnostics was the residential leader in New Jersey in Q3 of 2013 according to the U.S. PV Leaderboard. Terms of the transaction were not disclosed, NRG would not disclose the source of the funds used to finance the solar rooftops. NRG is an energy giant with 47, 000 megawatts of generation capacity. It is also one of the larger solar developers (through NRG Solar) and retail providers of green energy (through Green Mountain). NRG already has an existing installer network which it hopes to maintain despite the channel conflict with RDS. 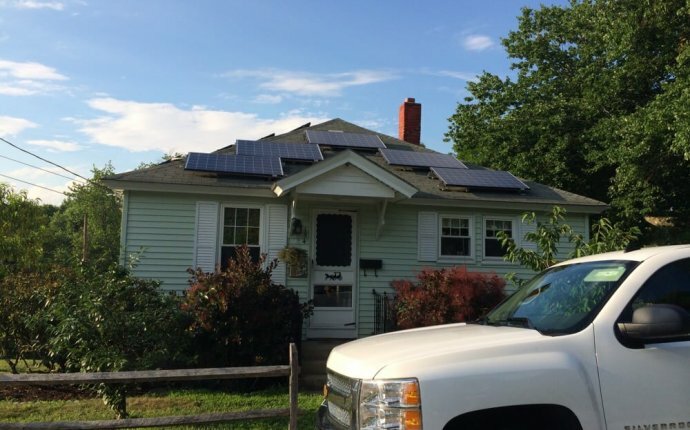 Wilson said, "We believe NRG is best positioned to be a market leader in residential solar." The U.S. installed almost 800 megawatts of residential solar in 2013 according to the 2013 U.S. Solar Market Insight report. “With the price of residential solar increasingly competitive with the retail price of power in multiple states, the time is now for NRG to ramp up its efforts to bring the benefit of self-generation to NRG’s millions of present and future retail electricity customers, ” said David Crane, President of NRG Energy, in a statement. NRG's Wilson also suggested that a solar relationship with NRG positioned the company to work with the customer on services like home automation and security. NRG Energy, which owns retail electric supplier Energy Plus, is working with Comcast in Pennsylvania to offer an electricity power service bundled with cable and phone. And Sunrun, like NRG Energy, now has an existing set of installer partners, as well as its own in-house installer operation. It is a conflict, but one that firms like NRG Energy and Sunrun, along with their partners, are learning (reluctantly in some cases) to negotiate. The market is seeing a mixture of vertically integrated firms such as SolarCity and Vivint, as well as hybrid firms such as Sunrun and NRG Energy. Kelcy Pegler Jr., the CEO of Roof Diagnostics, will continue to lead RDS for NRG. He told GTM, "We do our best to get out in front of homeowners and educate the customer. We sit with 100 people and we get 40 who want to go solar." He added, "Those ratios continue to improve." As a further sign of the shifting channels and allegiances in residential solar, "Sunrun and Sungevity have formed an alliance to sign up at least 10, 000 new residential customers, " according to a report in SFGate. Under the non-exclusive agreement, Oakland’s Sungevity will acquire customers, while Sunrun will finance the roof and own the PV system. As in the NRG/RDS deal or Sunrun/REC deal, all parties are free to pursue other channels and partners. Sunrun, NRG Energy, and RDS are expanding their reach in order to keep up with the freight train in residential solar, SolarCity. Additionally, Sunrun is thought to be preparing for an IPO and needs to reach a critical size in order to facilitate that transaction. Searchinform will tell you how the system dlp works in business.